What if you could find a mattress that was designed to keep you cool during Pittsburgh’s hot summers and cozy during our cold winters? The new TEMPUR-Adapt mattress collection from TEMPUR-PEDIC does that and whole a lot more. Each TEMPUR-Adapt mattress features a removable (and washable) SMARTCLIMATE Dual cover system—a cool-to-touch next-generation outer layer that helps regulate temperatures throughout the year which is like having two mattresses in one. 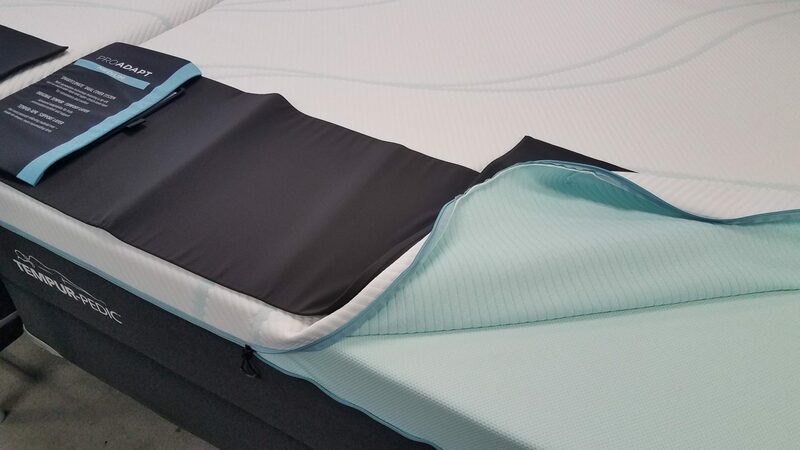 The TEMPUR-Adapt also features two premium layers—one to provide support which is made from their most pressure-relieving material ever and designed to give you a deeper and more restful sleep. The other a comfort layer which creates a softer feel while also providing personalized comfort. The PROADAPT Medium Hybrid goes one step further, adding 1000+ premium spring coils to the features mentioned above. Stop by Sleep Pittsburgh and check out the new TEMPUR-Adapt series.